Judith Turner resides in New York City where she began taking photographs in 1972. She has had solo exhibitions in various cities in the United States, Europe, South America, Israel, and Japan. Her work has also been included in many group exhibitions. Turner has been awarded several grants and fellowships. 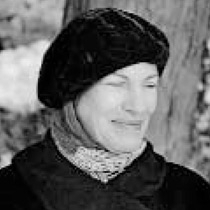 She received an Honor Award from The American Institute of Architects in 1994 and a Stars of Design Award in Photography from The Design Center of New York in 2007. Books of her photographs include Judith Turner Photographs: Five Architects (Rizzoli International Publications, 1980); White City (The Tel Aviv Museum, 1984); Annotations on Ambiguity (Axis Publications, Tokyo 1986); Parables & Pieces (1990) and After (1993), both Vincent FitzGerald & Co.; Near Sitings (City Arts Center, Oklahoma City, 1995); Between Spaces (Princeton Architectural Press, 2000); and Seeing Ambiguity (Edition Axel Menges, 2012). Video works include History of a Paper Tube Arch (The Museum of Modern Art, New York, 2000) and Constructing Baruch’s Vertical Campus (Dormitory Authority, State of New York, 2002). In conjunction with the book Seeing Ambiguity (2012), an exhibition of Turner’s photographs is on view June 9–September 2, 2012 at the University of Michigan Museum of Art.